Steam locomotive class 78.0 -5 of the German ReichBahn Society (DRG). Epoch II. The model is equipped with a DCC decoder for digital operation. Metal die-cast chassis. Drive on three axles. Traction tyres. Automatic coupling. Dual headlights. Model with barrel roof and brass coloured lettering of the Epoch II. 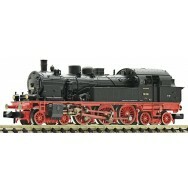 The Prussian T 18 was the last tender locomotive developed for the Prussian state railways. The locomotive was originally conceived for services on the island of Rügen as a replacement for the T 12 and the T 10. The locomotive emerged when a class of locomotive was conceived in 1912 that was to handle express and passenger trains in border areas or in commuter services on short distances. The design of a tender locomotive with symmetrical chassis was envisaged because, unlike a tow-tender-locomotive, it was able to run fast forwards and backwards and could be operated on return journeys without having to be turned on a turntable. Its power and top speed were to be the same as those of the P 8. 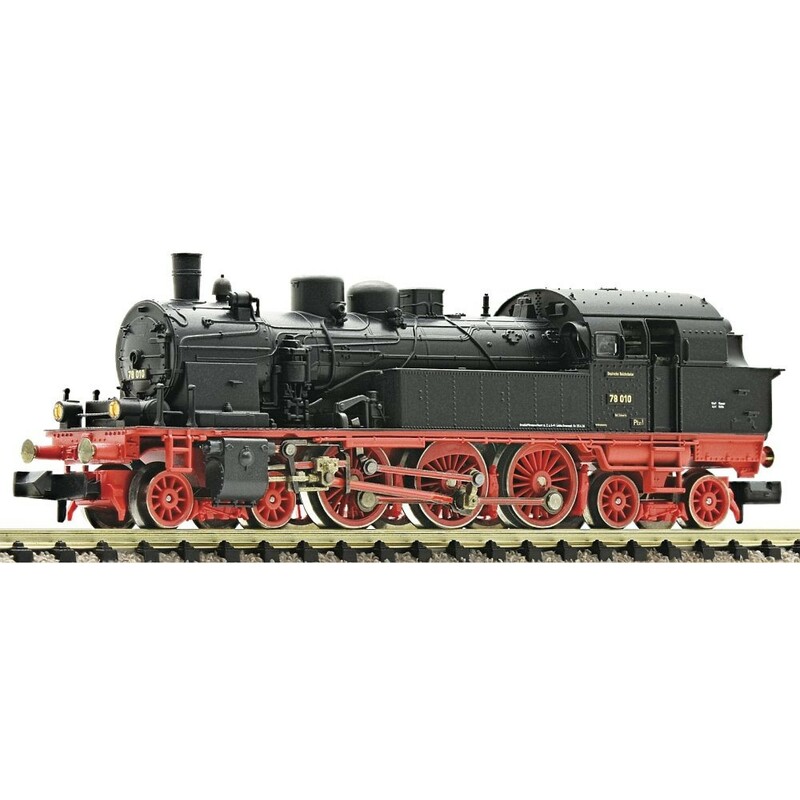 Robert Garbe designed this 2C2 ' tender locomotive for 100 km/h with a 17-ton axle load and contracted the Volcano works in Szczecin to build it. It was given the Designation T 18.